This is going to be a little series. A coffee series. Hmm. As I continue to take my work to new coffee joints I am exploring here in San Diego, I will be sharing my favorite ones with you. Because, we all know that those coffee shop vibes, for whatever reason, really help with the productivity flow (maybe it’s just the caffeine?). I am a fan of all things cozy and feel-good (which you will know especially if you’re following along on instagram). And, granted, being in an environment that exudes just that - cozy, feel-good vibes - really helps with my creative (writing) flow. Whether it is for my personal blog or projects I collaborate on with clients. Today, I would like to start this little ongoing series with my four favorite local coffee joints in Ocean Beach. This Hawaiian inspired place is almost tucked away on busy Voltaire St., in a typical colorful OB cottage. This unique coffee shop has great breakfast sandwiches and indoor, as well as outdoor seating - the latter being surrounded by plants, making this a little oasis. This is one of the newer additions to the OB coffee culture. 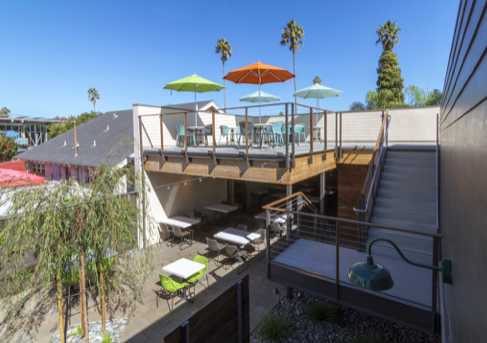 Offering a number of vegan and vegetarian meals, snacks and drinks, OB Garden Café also offers donation based yoga taking place on their rooftop. A very “green” café that invites the visitor to stay a while, exuding typical OB vibes (creativity, craftiness, and a little bit of hippie spirit that is). 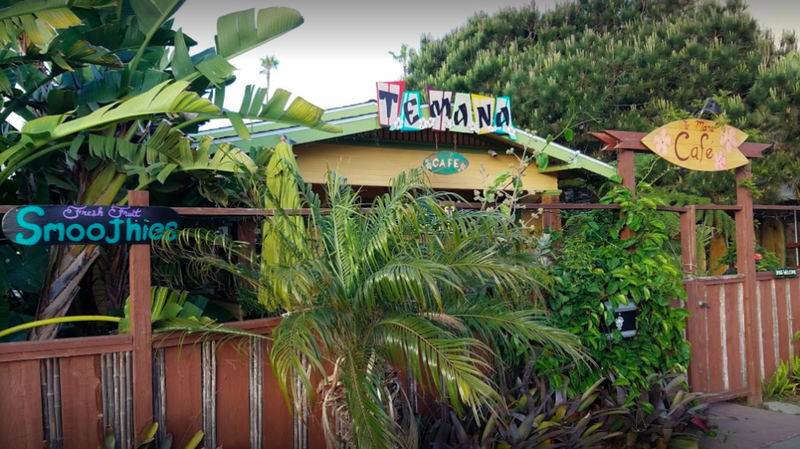 This OB coffee joint has been quite the staple - for 25 years, to be precise - in one of San Diego’s favorite beach communities. This always-buzzing, never-sleeping - so it seems - place is located in the heart of OB, just on the other side of the beach. Cozy surfer vibes, tasty, organic snacks, and a great tea and coffee selection await. This “superfood hub” is located right by the OB Pier and can be found in a super creative shared space where you find gifts and little bits and pieces for your home and wellness made by local artist, crafters, and designers. Find great power foods such as chia pudding or açaí bowls on the menu, alongside rich coffee that will get your brain cells energized. An inspiring place that doesn’t just serve coffee but brings together all that creates that particular feel-good atmosphere. 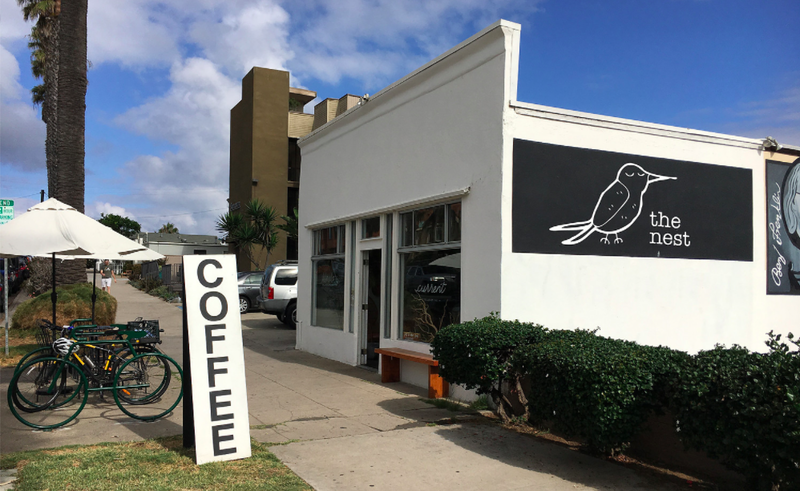 I highly recommend you check out these cute, independent little coffee places if you live in San Diego, are passing through, or plan a trip here. I am just super enthusiastic about supporting local places. Do you have a favorite coffee place in OB - or your neighborhood?